Kerala is one of the divine destinations of India, known for its rich cultural heritage and unique customs and rituals. The remedial measures and practices are performed by Kerala priests, who are experts in carrying out the ceremonies according to the sacred texts. 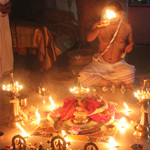 Abishekam (Hydration Pooja), Nivedhyam (Food Offering), Archana (Pooja) and Homa (Fire Prayer) are the four major customs performed by the priests. The services are performed at handpicked energy vortices and AstroVed Remedy Center. Each energy vortex where the ritual is performed is unique for exerting powerful remedial effects, offering solutions to your life problems. 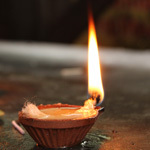 Lighting a lamp is a very simple but an effective remedy that can be performed not only in the temples, but also in one’s personal worship space. 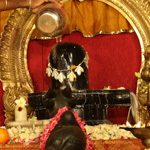 Tender coconut water abhishekam is a special worship performed for Lord Shiva. Coconut itself being symbolic of Lord Shiva, abhishekam with tender coconut water bestows happiness and great joy in the life of those who perform or sponsor this ritual. An abishekam is the holy bath given to a deity. 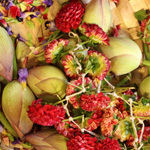 This is the sacred hydration ceremony performed for inviting divine energies into our lives. It is a simple but highly effective purification process. We perform such rituals to the deities, who themselves are the embodiments of purity, only because this remains the most practical means of purifying our own souls. 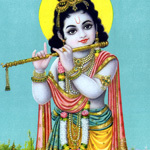 Santhana Gopala is an infant form of Lord Krishna. 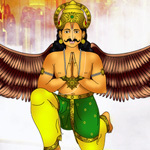 He is a very important incarnation of Lord Vishnu. While the word ‘Santhan’ means ‘child’ or ‘children’, Gopala is one of the many names of Krishna. Thus, Santhana Gopala is none other than baby Krishna. Krishna was a born prodigy, an exceptional genius. 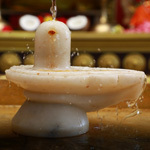 A nivedhyam is an offering made to the deities. 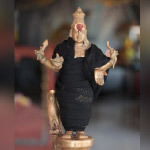 Even though the idols of the deities are made of stone, five metals or any other material, they are not mere inert objects, but are considered active matter imbibed with energies that can connect and resonate with human life forms. They have manifested in various forms on Earth, thus making themselves available to influence and elevate the lives of those who are willing to connect with them. 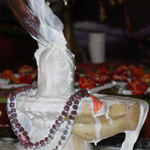 Abishekam is the holy bath given to a deity. This is a sacred hydration ceremony performed to the deity for inviting blessings into our lives and the most practical means of purifying our own souls. It is a simple but highly effective purification process. 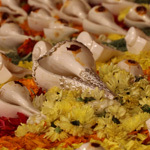 Such a ritual is performed to the deities, who are embodiment of purity. Trishati literally means “the number 300,” and here it denotes the 300 sacred names of the Goddess, which form part of a hymn, or slokam. 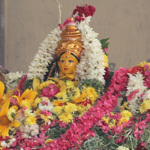 Goddess Bhagavati remains the presiding deity of this worship. 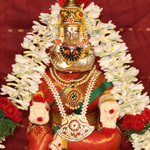 Shree Sooktha Pushpanjali with Lalitha Sahasranama Archana. The word ‘Shree’ stands for Goddess Maha Lakshmi and Shree Sooktham is a devotional hymn recited in praise of Lakshmi, the Goddess of wealth, prosperity and fertility. These ancient hymns are found in the appendices to the Rig Veda. 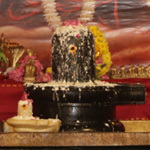 Uma Maheshwara Pooja - A Vedic Stimulant to Enhance your Marital Bliss! 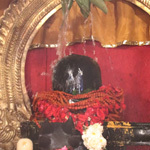 Why Uma Maheshwara Pooja This special Pooja is dedicated to Lord Shiva (Maheshwara) and his counterpart Shakti (Uma) to resolve problems between married couples. 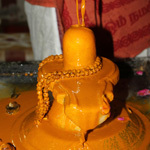 It is strongly believed that Lord Shiva and Goddess Shakti are the epitomes of mercy and compassion. The marital harmony between the celestial beings is considered the most inseparable and exceptional. 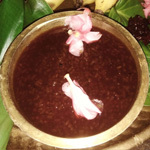 Thrimadhuram is a sweet delicacy made of fruits. 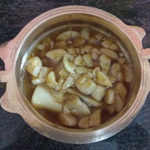 It is prepared as a mixture of sugar, banana and dry grapes. 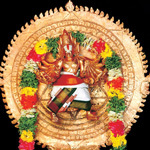 A Nivedhyam or offering of Thrimadhuram is made to almost all deities in Kerala temples. Navagrahas are planets, the celestial bodies. Our tradition regards them to be 9 in number. Nava means 9 and Graha means planet, and hence they are known as Navagrahas. A homam is a Fire Lab. This is also known as a Yagna or Fire Ritual. Enlightened Masters consider this ritual to be the most evolved spiritual technology on the planet. Fire is chosen as the medium for this ritual, as it is considered a purifying and transformational agent, a form of energy that helps us connect with the divine. Fire acts as the bridge between the gross material world and the subtle spiritual dimensions. Ghee abhishekam to Lord Vishnu and Aiyyappa bestows one with higher spiritual attainments and salvation at its highest level. 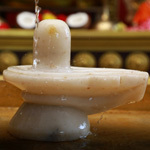 An abhishekam is the holy bath given to a deity. This is the sacred hydration ritual performed for inviting divine energies into our lives. It is a simple but highly effective purification process. Shri Rudram is a beautiful Vedic hymn from the Krishna Yajur Veda, chanted in praise of Lord Shiva. This is also known as Rudra Prasnam. 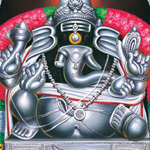 Shri Rudram is regarded as the most effective hymn to propitiate Shiva. Purusha Sooktha Pushpanjali for 13 Birth Stars. 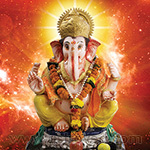 The Ganapathi Homa with chanting of Ganesha moola mantra and Ganapathi Atharvaseersham removes all road blocks and bestows whatever one is aspiring for through this homa. 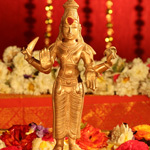 Sudarshana is the personification of the 1000 pointed Discus held by Lord Vishnu. The 1000 points or spikes are symbolic of this protective quality. Detailed Bhagavathi Seva at Bhagavathi Power Spot. Bhagavati is Goddess Shakthi, who combines in herself, supreme power and motherly compassion. She is also known by many other names, one of which is Rajarajeswari. She is the active dynamic principle, primarily responsible for all prosperity, and is a generator of fertility, purity and abundance. 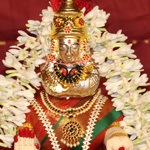 It is Goddess Bhagavathi or Rajarajeswari, who is invoked in Bhagavathi Seva.